Work continues at White Post Quay, a six-storey building overlooking the Olympic Park in East London that will be utilised by local artists and artisans. The building has now been topped out and is watertight. 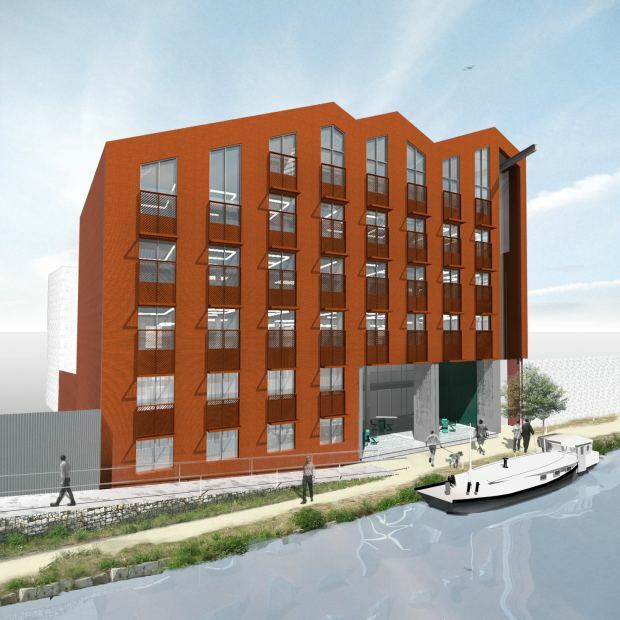 The next phase includes the link block to connect the new canalside building to the existing suite of warehouses. A sample of the feature façade will soon be made up for checking before the full integrated shading and balustrading is installed to protect and articulate the south-facing façade. The new building will act as a hub for the sites’ numerous artists and artisans, housing a cafe and exhibition spaces. The building has been stepped back at ground and first floor levels to provide a public apron onto the canal and connection to the new footbridge.